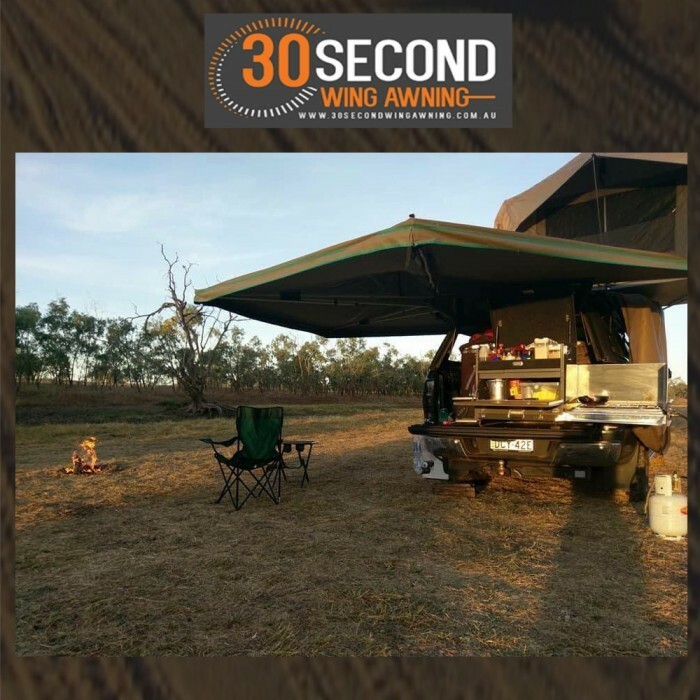 Manufactured from high a high quality and durable aluminium frame, with a water and rot proof 320gsm Canvas, the 30 Second Wing Awning will provide you with nearly 12sqm of shade in under 30 seconds. 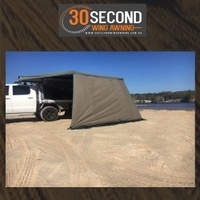 It only takes one person to set it up and you will be enjoying your day within 30 seconds. As we have all experienced, many an awning has been destroyed due to the wind. 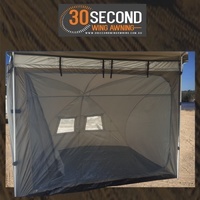 Due to our sturdy construction, our awnings can withstand a strong breeze and steady wind without the need for poles and ropes – we say 10/15 knots is the time when you should put the additional pole and ropes in. 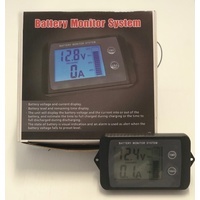 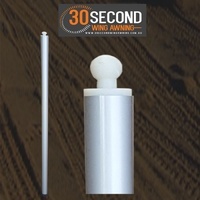 Just like undertaking any outdoor adventure, it’s best to be conservative in our setups as wind is not a constant, whilst the wind may be blowing 20 knots one minute, next minute a gust of 30 knots may come through – so use your discretion and use the down a pole if you think it needs it, and a tie down if it’s incredibly wind. 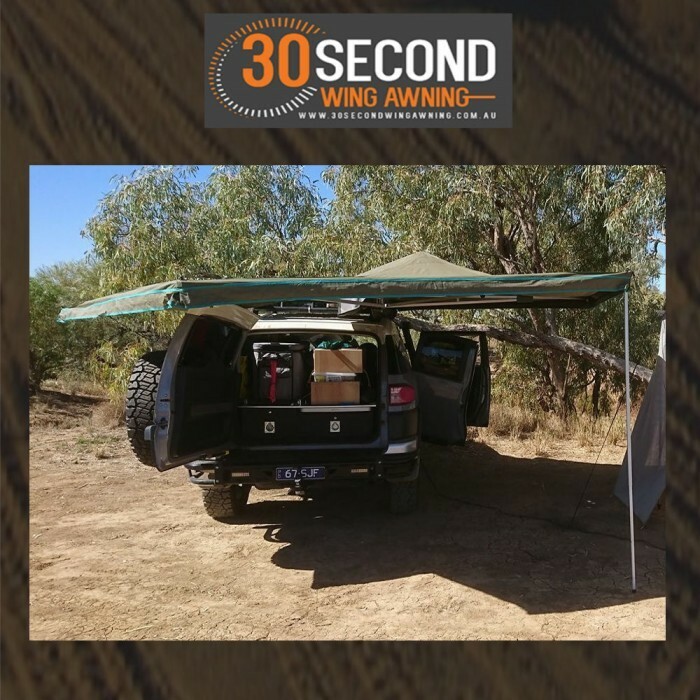 Be assured in the knowledge that the 30 Second Wing Awning is the toughest around. 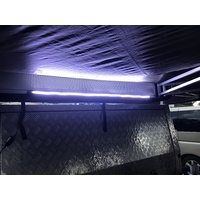 A tip to be extra safe is to face your vehicle into the wind as this creates down pressure on the awning and be assured in the knowledge that on a windy day when everyone else is packing their awning away, you’ll probably still be enjoying your 30 second Wing.